A short description about the company “Guerrilla Kids International Distribution Syndicate” would help many anime and manga fans learn more about this company. 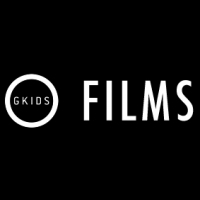 Do you know what “Guerrilla Kids International Distribution Syndicate” is all about? Then feel free to add a description to our database using our entry form. We’re looking forward to your contributions! Movie, 1 (2018)Okko’s InnMADHOUSE Inc., DLE Inc.
Movie, 1 (2017)Night is Short, Walk On GirlScience SARU Inc.
Movie, 1 (2017)Napping PrincessSIGNAL.MD, Inc.